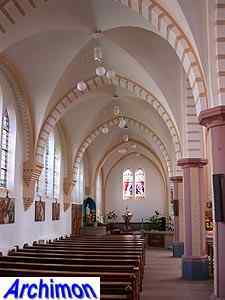 In the 12th century a first church was built in Coevorden. It was situated a bit outside the walls of the town, in a small fortress. 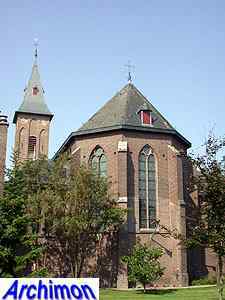 In 1231 it was destroyed by troops of the bishop of Utrecht, whose vassal Rudolf van Coevorden had rebelled against him. A new church was built later, this time within the gates of the town. It must have been a big church, with seven altars. 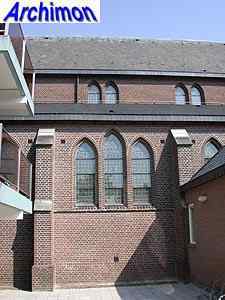 When in 1594 protestant troops conquered Coevorden catholic masses were forbidden immediately, and the interior of the church was vandalized to adapt it to its new use as a protestant church. Soon the church fell into decay, due to war damage but also because the parishioners, who were forced to become protestant, refused to pay for its maintenance. 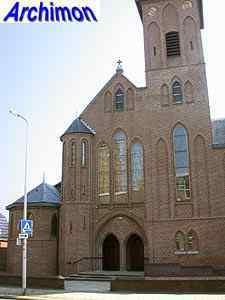 Eventually the old church was demolished and a new protestant church was built, the current reformed church. In those days to become a protestant was the best way to maintain one's social position, at least for citizens. For farmers to stay catholic meant little change in position, and to become protestant would not have gained them much either. This is why especially famers remained catholic. 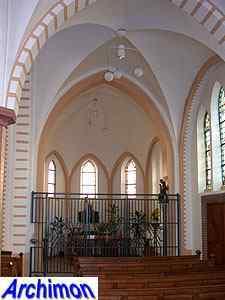 They met in a farm in Holthone, just outside Coevorden, where masses were held by travelling priests disguised as pedlars. This situation continued until 1787. 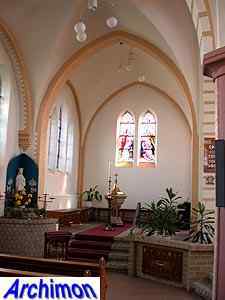 In that year a hidden church could be opened in Coevorden itself, a measure to prevent the catholic soldiers of the garrisson, who attended services in the German Laar until then, from deserting. 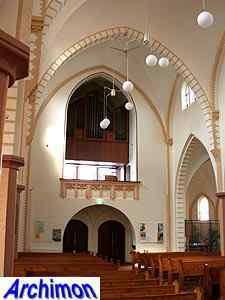 The new church was a true hidden church, a former house with square windows. In no way was it permitted to make it look like a church. No sound from inside was allowed to reach the streets, and the attendants had to hide their church-books from view because otherwise protestants might get upset. 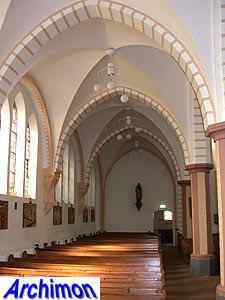 A steady priest was found in Amsterdam, at the franciscan church De Boom ('The Tree'). 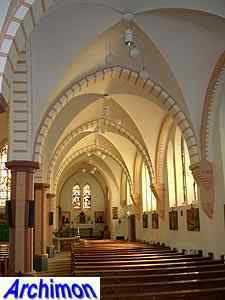 Until 1981 Coevorden had franciscan priests. The hidden church was enlarged twice in the 19th century, and in 1818 a turret was added to the roof. Because it had fallen into decay the old church was replaced by a new one in 1912. 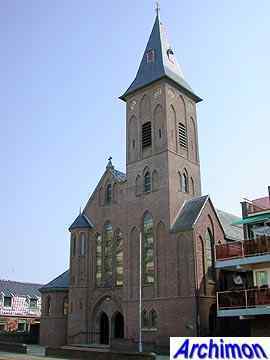 W. te Riele had designed it, a three-aisled neo-Gothic basilica with a tower standing next to the facade. 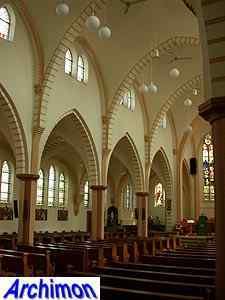 In 1914 the church was completed. 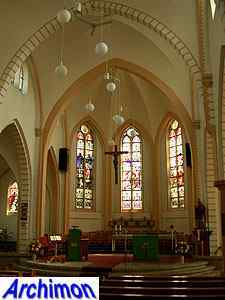 The old church was given a new function by the parish until it was demolished in 1934. The current church is unfortunately surrounded by modern buildings, which block much of it from view. 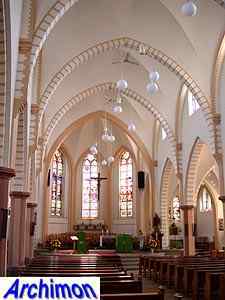 The interior of the church has been modernized several times.